Are you a candidate for MRI? 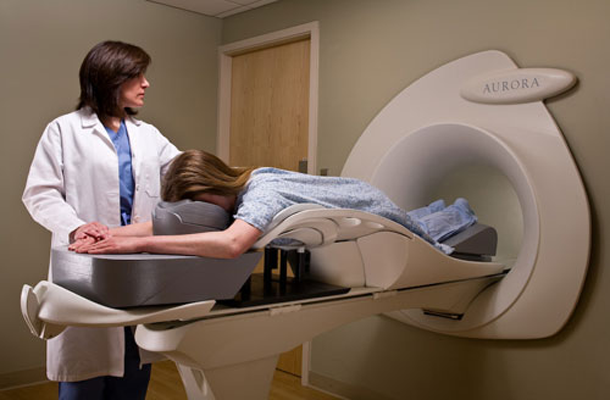 MRI is a sophisticated technology that stands for Magnetic Resonance Imaging. By using a computer, a magnetic field and radio waves (instead of x-rays), the MRI produces detailed images of the soft tissues in the body-from any angle and with great clarity. It is a vital diagnostic tool in breast health when used in conjunction with mammography and ultrasound. The increased level of detail that MRI offers helps make a more informed diagnosis. You will not be exposed to radiation while having a breast MRI. MRI technology has been in clinical use for over 30 years, providing information to physicians to help in early diagnosis and treatment of disease. The technology has been used successfully in breast imaging and is playing an increasingly important role in earlier diagnostic accuracy. Find out if you are a candidate for an MRI here.